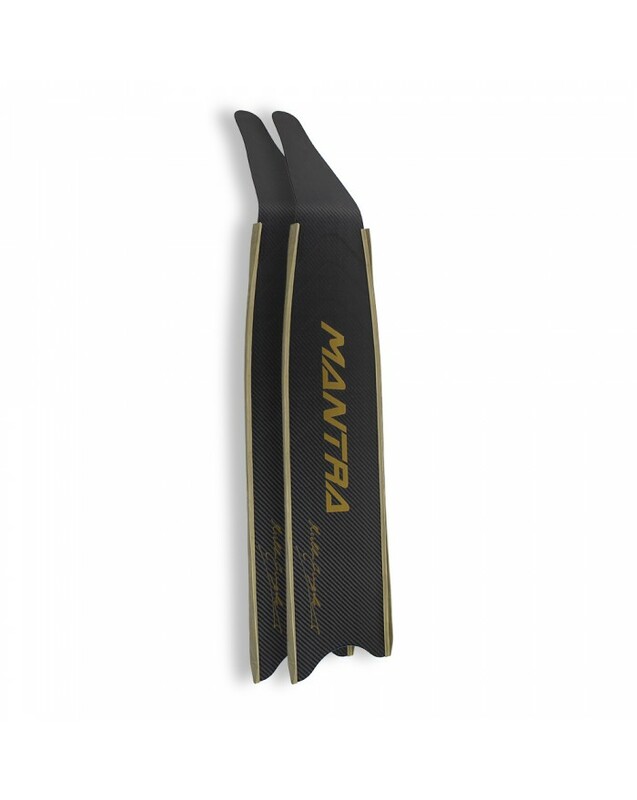 4) FEM Design: MANTRA blades are optimized trough an accurate Design by means of Finite Element Softwares (FEM). 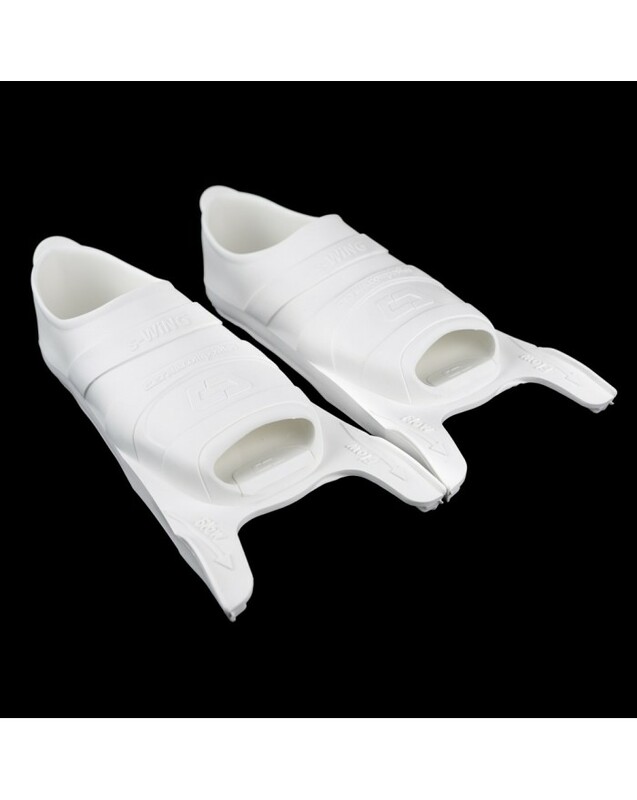 The Design trough FEM software allows an optimized distribution of the stiffness, with the aim to obtain a deformation ensuring the maximum hydrodynamic efficiency. 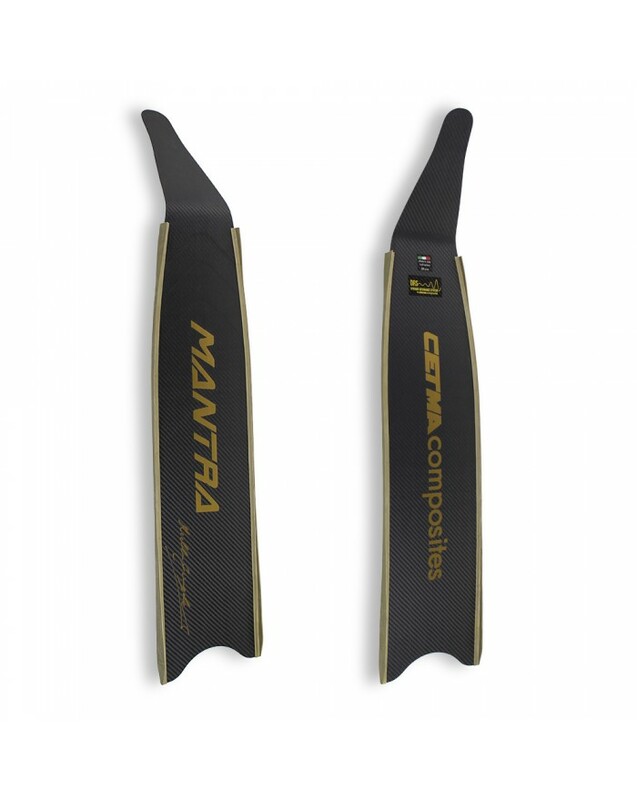 5) Signature model: developed in collaboration with the world champion CWT bi fins Michele Giurgola. 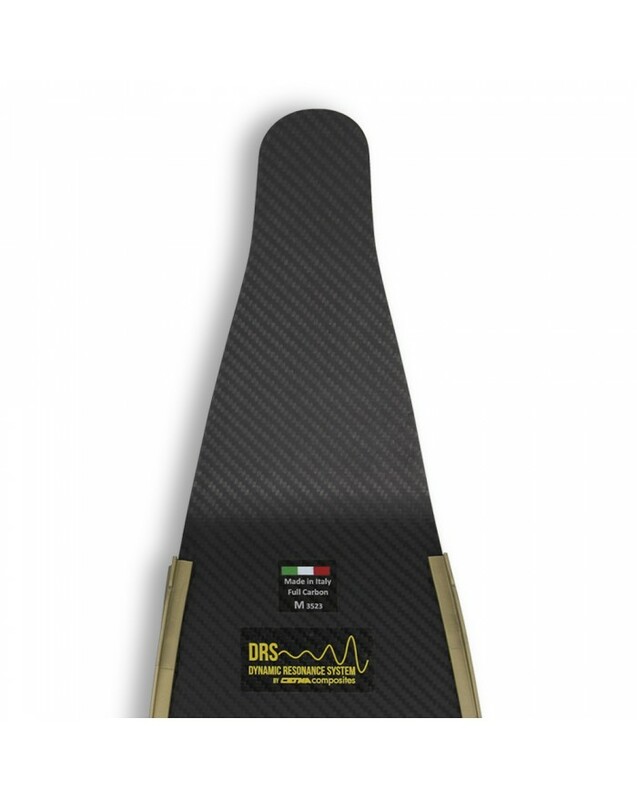 6) DRS (Dynamic Resonance System) innovative and exclusive CETMA COMPOSITES system. 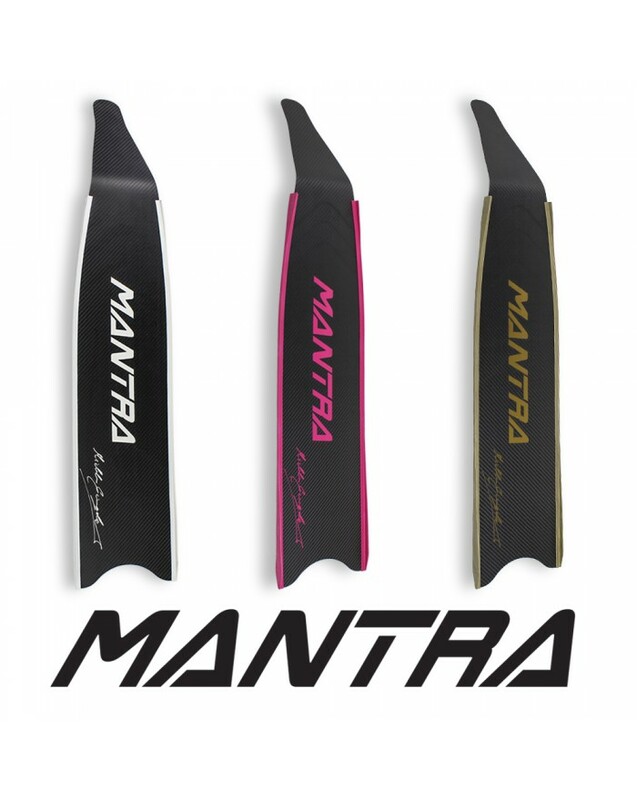 DRS implies that MANTRA blades were designed to reach in resonance in a definite frequency of kick. Resonance phenomenon is well note physical phenomenon characterizing all the structures. Simplifying, when a structure is forced with a frequency close to its natural frequency the amplitude of vibration increase in a very efficiency way (low damping). 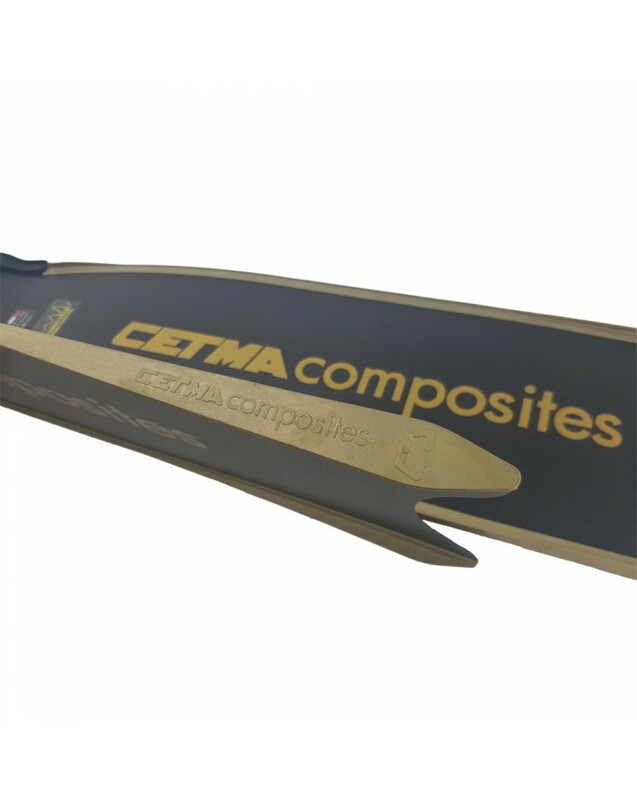 Operating by distribution of the stiffness along the blade we “tuned” the blades to certain natural frequencies. So when the blade is driven, by kicking, with a certain frequencies range the user feeling is a very low effort with an outrageous thrust. This study is done using a laser vibrometer (LDV) to perform a modal analysis, which helps in a stiffness distribution design of the blade. 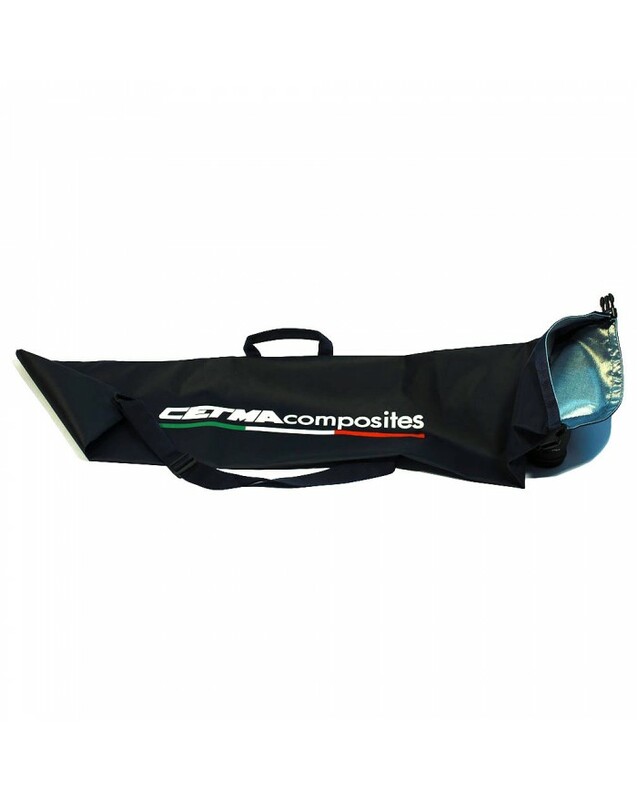 7) Dimensions: Width 195 mm; Length from the bending angle 742 mm; bending angle 33 degrees. 8) Available stiffness: super soft (XS), soft (S), medium (M). 9) Colour choice: White, Gold, Magenta. 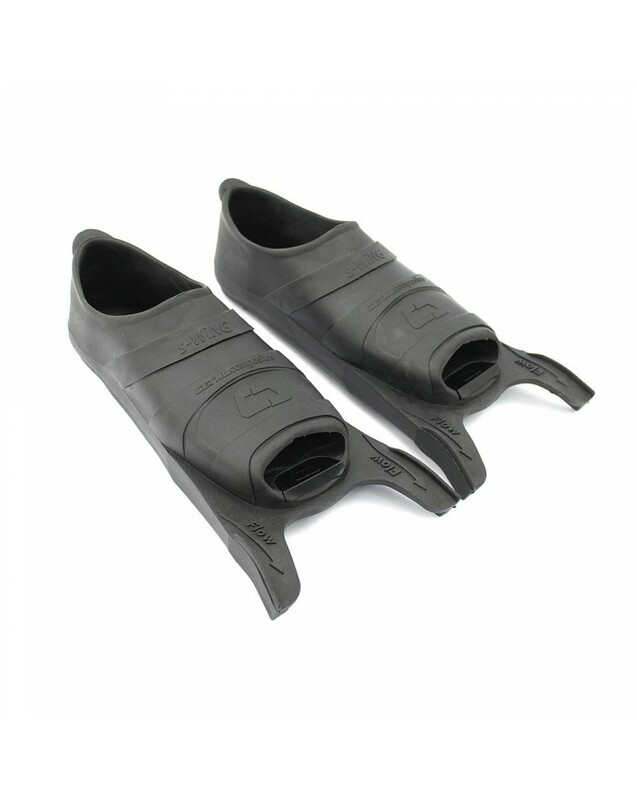 10) Footpocket fitting: CETMA COMPOSITES, Mares and Pathos. 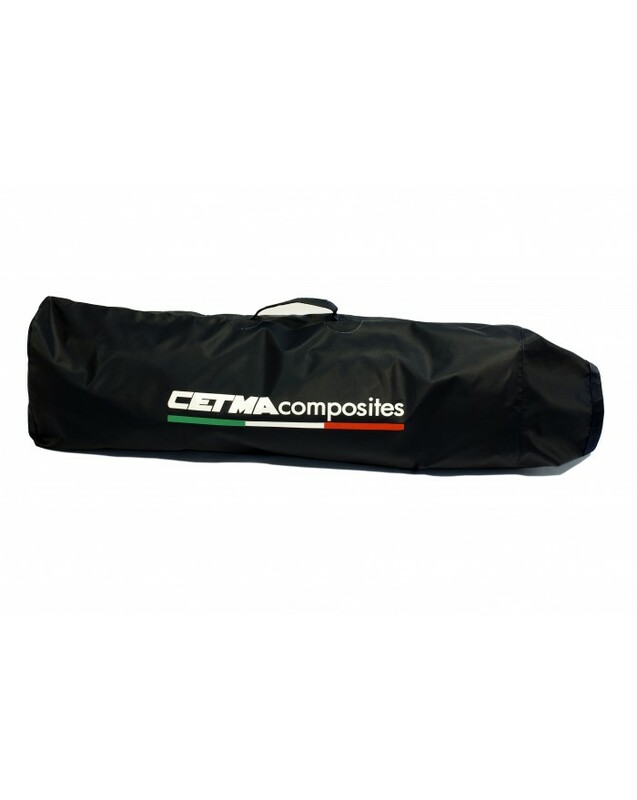 12) Warranty: 2 years on carbon parts; 5 years if fitted with CETMA COMPOSITES footpocket ( Find out more ). 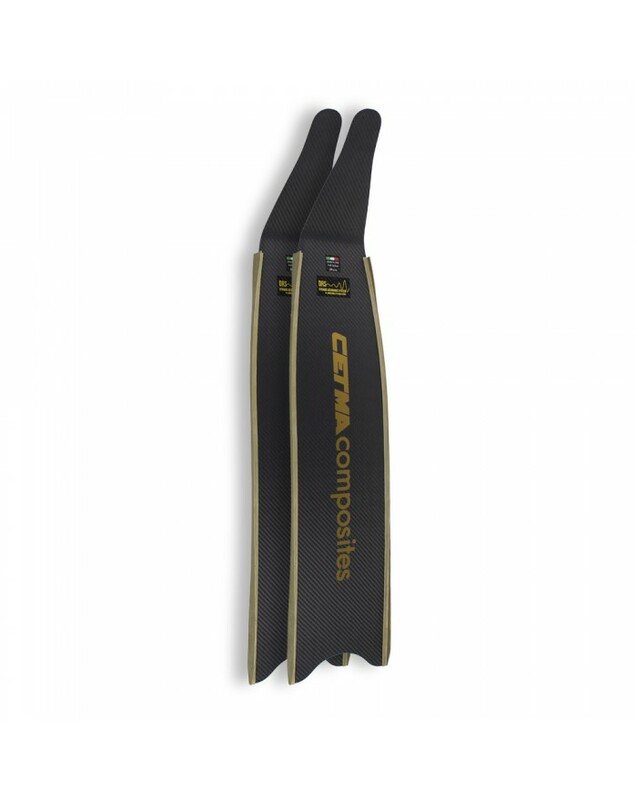 13) Prizes and awards: Italian Champion 2016 CWT bi-fins -92 meters in 2 minutes and 55 seconds.